it is vital to the health of humanity and our planet that we each have a basic understanding of this concept. Here is an overview of electropollution, plus practical steps to protect your family. 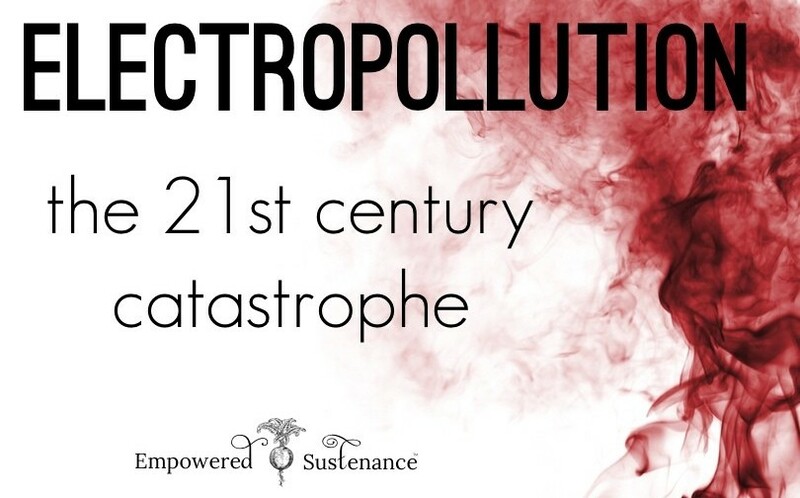 Electropollution introduces biologically toxic electrical frequencies into our environment. These frequencies, called electromagnetic frequencies or EMFs, clouds up the electrical communication in the human body. This has been shown to cause serious health issues ranging from diabetes to cancer. Perhaps you remember from biology class that atoms are always moving, although this movement is imperceptible to the human eye. The clothes you are wearing, the table at which you are sitting, the food you are eating… these all vibrate in unique patterns depending on their molecular structure. The human body is no different. Every cell, organ, and tissue in your body vibrates in a unique pattern. This vibration is energy, and that energy is electrical. All information transmitted within your body is electrical. Sensory information, muscle movement, your heartbeat… these are all made possible by electrical waves and magnetic fields. Ancient cultures harnessed the electrical flow of the body to bring healing and modern science now proves that these practices, including acupuncture, are effective in balancing the body. When the frequencies of the body are disrupted or when the electrical communication between cells are interrupted due to electropollution, we open the door to a host of health problems. As a culture, it seems like we are eternally plugged in. Our extremely close proximity to a wide range of EMF-producing factors equals a devastating burden on the electrical balance of our bodies. Cell phones – Cell phones and cell tower emit radio frequency fields (RFs), a type of high frequency EMF. 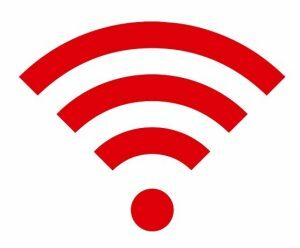 WiFi – Wireless internet emits powerful radio frequency fields (RFs). Cordless phones – Do you have cordless phones in your home or office? The base for these phones emits a high concentration of high frequency EMFs. Dirty Electricity in homes, schools and offices – This U.S. electrical power grid is polluted by “invisible dirt”, high and mid-frequency signals that is equated with static on a radio station. 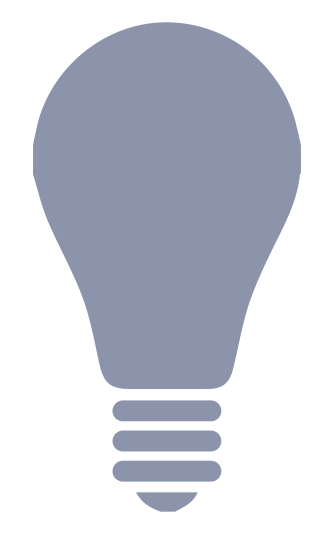 Fluorescent Lights – Fluorescent lights emit much higher levels of EMFs than their incandescent or LED counterparts. Smart Meters – emits high frequency radiation. If you have a Smart Meter, you can ask your power company to have it transmit only once per day (preferably when you are out of the house) to drastically reduce this radiation. Appliances and electronics – all appliances and electronics emit EMFs, some more than others. For example, refrigerators and electric stoves create a powerful EMF field. Obviously, we can’t reposition our fridge or ditch our stove. Use the remediation steps below and read more in Zapped. The RF exposure from cell phones creates a risk for cancer. RFs have been shown to damage cellular DNA, which may lead to cancerous mutations. Even low-level RF exposure causes the body to create heat stress proteins, a temporarily protective measure that is harmful if this stress response is chronic. The incidence of partoid gland tumors and brain cancer is strongly correlated the use of cell phones and the World Health Organization classifies cell phone radiation as a class B carcinogen (Dr. Mercola shares helpful overview of the growing research here). Dirty electricity makes its way into buildings, where it can disrupt moods, alter behavior, impair sleep, induce confusion, and more. A high percentage of the population may be sensitive to dirty electricity. Schools that install dirty electricity filters (discussed below) report a drastic improvement in the focus and performance of teachers and students, as reported in Zapped. According to a study published in Electromagnetic Biology and Medicine by Dr. Magda Havas, a PhD at Trent University, electromagnetic fields creates blood sugar spikes and an increased heart rate in electrosensitive individuals (read more here). Electrosensitivity, also called electromagnetic hypersensitivity or electrical sensitivity, is a simple issue made complex because it is difficult to diagnose due to a lack of recognition of the syndrome. Individuals may develop this sensitivity after prolonged exposure to normal or abnormal amounts of electropollution. It causes a wide range of symptoms ranging from ear ringing, headaches, insomnia, mood disorders, and more. Once sensitive, individuals must take extreme steps to prevent exposure to WiFi, cell phones, and other EMFs. Keep your phone away from your body. Don’t put your cell phone to your ear to speak, because every inch counts when the radioactive waves are near your brain. Always speak on speaker phone or with earbuds. When you aren’t speaking on it, keep it as far away from your body as possible. If you must wear your phone in your pocket, use a radiation shield. Turn your cell off (or put it on airplane mode) at night. Keep your phone out of the bedroom while you sleep, and preferably turn it on airplane mode. A cell phone should NEVER be used as an alarm clock, because our brain is most susceptible to the damaging RF radiation when you are sleeping. Instead, use a battery-powered alarm clock, which emits almost no EMFs. Turn off the WiFi at night. When we sleep, the body switches to full parasympathetic mode. This is the “housekeeping” nervous system mode and it means our defenses are completely down. As a result, we are most vulnerable to the DNA-altering effects of EMFs so it is important to turn your WiFi router off while you sleep. Even if you live in an apartment, he WiFi waves from your apartment neighbors will still reach you, but every yard of distance from the router counts. If you can, the best option includes switching to wired internet through the whole house. My family isn’t making the switch to wired internet, but we religiously turn off our router before bed. Install Stertzerizer Filters. Stertzerizers are unique filters that reduces the amplitude of dirty electricity to the safe range of 4 -100 kHz. It requires about 20 filters (at $35 each) to neutralize the dirty electricity, a cost of about $700. These filters address the dirty electricity in a home about 98% of the time (source). But that still leaves the concern of non-dirty electricity EMFs, which these other steps can help remedy. I currently have two filters on order, so I have not yet tried them. Protect and educate your kids and teens. After my research on the biological effects of cell phone radiation on the developing brains of children, I strongly believe that children should very rarely use a cell phone. It is up to the parents to do their own research and educate their kids and teens about the heath risks of phones. Phone calls should be made on speaker phone or with earbuds, so the phone isn’t held to the head. Texting is also preferable to calling. Switch out your wireless home phones for the old-fashioned corded phones, like this one. Wireless phones bathe your home in a concentration of harmful radio frequency fields, a high frequency EMF. We were able to find a corded phone from at Radio Shack. Favor natural negative ion producers. Negative ions help purify the air, boost mood, and combat electropollution. I reach for 100% pure beeswax candles and salt lamps, two powerful negative ion producers, and use these particularly in my bedroom (also great for your office). Connect with the earth’s electrical charge. When we walk barefoot on sand, grass or dirt, we allow the healing electrical charge of the earth flow through our bodies. This practice – called “earthing” – sounds esoteric, but it’s actually science. Skin-to-earth contact allows the negative ions from the ground flow into our body, and this is shown to reduce stress hormones and inflammation (source). Since we can’t always sink our feet into the grass, I use an earthing mat. It plugs in and then releases the same charge as the earth. I sleep on my earthing mat (it must have skin-to-mat contact), but you can also purchase earthing sheets. 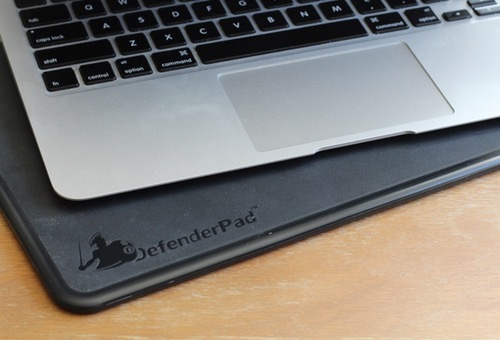 Use a DefenderPad under your laptop. If you place your laptop on your lap, it directs radiation right into your vital parts. I worry about this especially for couples who are trying to conceive… men, you don’t want to fry your swimmers and women, you don’t want to zap your uterus! I have a DefenderPad and keep it in the family room for the whole family to share. It is light weight and research shows that it is effective in blocking the radiation from laptops. I remember feeling utterly overwhelmed when I first learned about electropollution. This makes my head spin! I whined. I don’t even want to bother with all of these tedious and expensive steps! I knew, however, that I needed to trudge ahead and learn how to reduce the EMF burden on my body. Since I struggle with a chronic disease, I’m always trying to fill in that missing piece in my wellness puzzle. I’m taking it one step at a time, and suggest you do the same. Follow the above steps for reducing your EMF exposure as it fits into you budget. When you’ve completed those steps, I recommend reading Zapped: Why Your Cell Phone Shouldn’t Be Your Alarm Clock and 1,268 Other Ways to Outsmart the Hazards of Electronic Pollution, which outlines more steps to take to stay safe from EMFs in your home and office. Lauren, what does one do if one works in a building where at least a dozen wifi networks are operational in every square metre of the place? We’ve just been assured that the few spots where our students (adult overseas students) have trouble connecting will soon be “fixed” as they’re installing a bunch more ‘thingies’ (?? don’t know the name) in the ceilings so we’ll be completely ‘wired’ at all times. I’m horrified but what can I do? To the list of ‘sources of electropollution’ I would add electrical wiring….many homes have wiring faults which create EMFs their inhabitants are totally oblivious to. Nevertheless this is a good review of the issue – great to see you covering this Lauren! Hi Lauren, thanks for these suggestions. So if you buy a EarthCalm Scalar Home Protection System, which also reduces dirty electricity, would it render it unnecessary to buy the Stertzerizers? The best portable two way radios article is absolutely the most effective i have seen today. What about induction stoves?? Those must have HUGE Fields! Due to advancement in technology, number of gadgets are also increasing, due to which electropollution is also increasing. Many of us are not familiar with this term, but it can be very dangerous for health. The electromagnetic radiations can even cause brain cancer. Thanks for sharing such an informative article. It is really funny world. The stern American agencies have lost their authorities and they are becoming commercialized in pace of bids by capitals investments and manufacturing industries. These money makers have no care about human kind future lifes and evironments. Look at around, go to mountains. Bee, birds, are out of mind weeble because of sudden appearance of abuse of invisible high freqency around. Trees have beein dying without distinct causes. I got mad at them unwisdom policies. America has enough resources and can live in affulent them without daily bloodily companies competions to make more moneys with greed. Life is short but worth living in the universe with peace of mind.